Description: Nakadia, Festival of Happiness and Togetherness, where Hijra's are invited to dance through the streets, till early morning. The three Gods, Rahm, Lachmi and Sita are represented (by children) in this Festival. Varanasi, India. 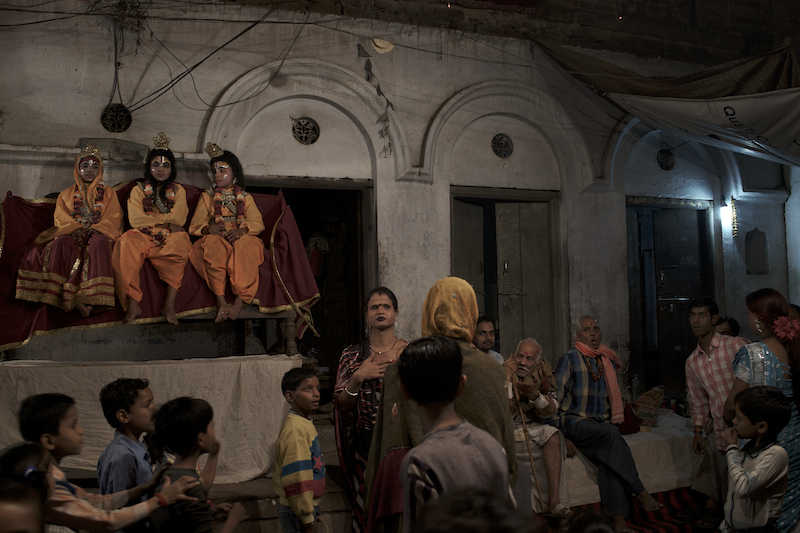 Caption: Nakadia, Festival of Happiness and Togetherness, where Hijra's are invited to dance through the streets, till early morning. The three Gods, Rahm, Lachmi and Sita are represented (by children) in this Festival. Varanasi, India.